Joyfully Jay is giving away an ebook copy of The Brat-tastic Jayk Parker by JA Rock. Closes June 7 (t0day) at 11:59 pm. The Novel Approach is giving away an ebook copy of either Tarnished Gold or For Men Like Us by Brita Addams. Closes 11:59 pm PDT, June 10. The Armchair Reader is giving away an ebook copy of Save the Date by Kate McMurray. Closes June 11 at midnight CDT. New releases and more: Fiction Vixen (romance/UF) and Tor.com (PNR). Becky Black has links for authors. KZ Snow considers how the early days of ebook publishing spoiled her. Kaetrin wonders why people in books don’t just talk to each other (or misunderstandings as plot point). The Hypeless Romantic lists the book blog land generalizations she finds most annoying. “Why fiction is dangerous” – Neil Gaiman. 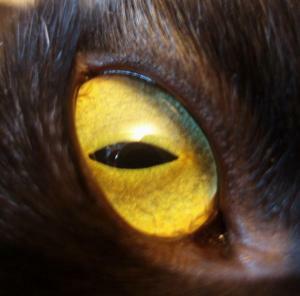 Cats can make reading more challenging. Study finds that sunscreen slows aging. Use science to cook better. Google Reader: NewsBar (iOS), Reeder and other apps will be supported by Feedly, Feedly update, Curata Reader, Google on why Google Reader is being cut. Cold noodle salad with creamy peanut sauce. Airplane salad with greens, grains, and seeds. Green curry veggie burgers with black beans and walnuts. Seared sea scallops with gingered pea puree and cilantro gremolata. Sweet and sour cherry sparkler cocktail. Pulled pork on a gluten-free Hawaiian roll. Dark chocolate almond butter cups. A collection of the Hockey Night in Canada (HNiC) intro videos for the 2013 Stanley Cup Playoffs. Girl Scout cookie-flavored coffee creamer. Bacon and egg doughnut sandwiches. This is why Chaos is locked out of my bedroom at night. Alpaca and baby! Beleaguered cheetah and babies! Tiger! Kitten! Baby skunks! Burrowing owlets! Kittens! Kittens! Kittens! Kittens! Wolves and babies! Black kittens! Baby hummingbird! Fennec! Cat and kitten! Baby cheetahs! Bison! Spoonbill and baby! 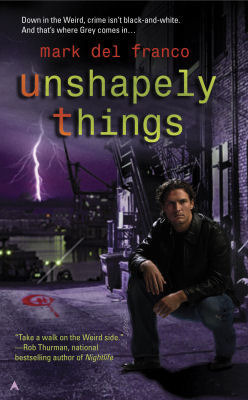 Unshapely Things (Connor Grey #1) by Mark Del Franco. reread. I originally read this in February 2008. Upon rereading, I definitely appreciated some of the more “old school” urban fantasy elements (harking back to Charles de Lint, Emma Bull, Terri Windling, Tanya Huff, etc), such as the involvement of the Fae and the city/urban environment seeming to almost be a character itself. 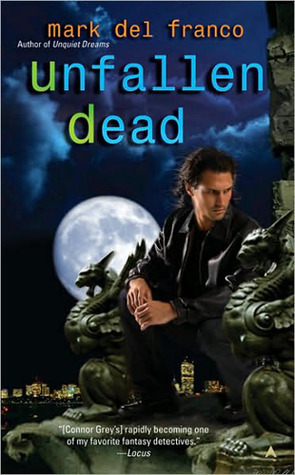 In this tale of druid who’s lost his powers and helps out the Boston Police Department as best he can, the urban fantasy elements pair interestingly with a first-person noir detective narrative (as with the Dresden Files). On with my reread of the next two books, which is as far as I made it before running out of steam with the genre last time. 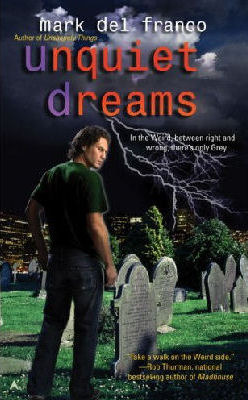 Unquiet Dreams (Connor Grey #2) by Mark Del Franco. reread. Very good urban fantasy in which Connor encounters trolls and dwarves and tree spirits, oh my! Unfallen Dead (Connor Grey #3) by Mark Del Franco. reread. Another good installment in the Connor Grey series. Like orannia, I didn’t think the romantic relationship added anything to the story. Posted by Chris on Friday, June 7th, 2013, at 2:00 am, and filed under Linkity linkity link, Reading, Reviewettes. Dark chocolate almond cups…oh my! Thank you for the linkity and for the shout out 🙂 I need to get on and finish the series! And May looks so cute! Yum. Must try roasted chickpeas. Oh no! 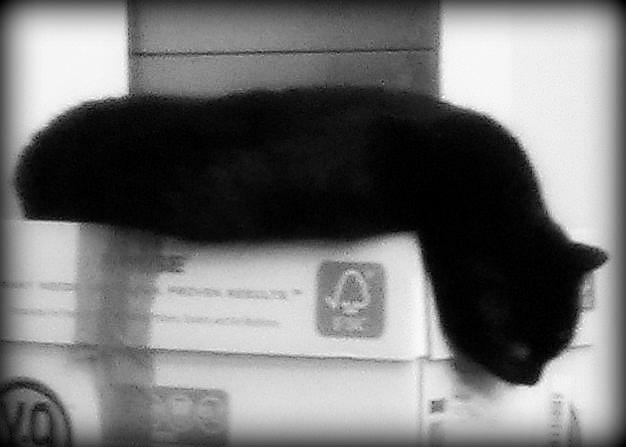 Poor May is melting. I was so bemused by that photo of that person trying to read with a cat. I can’t imagine the number of times I’ve done that. I loved the autocorrects. I brought my husband over for some of the best and had a good belly laugh.